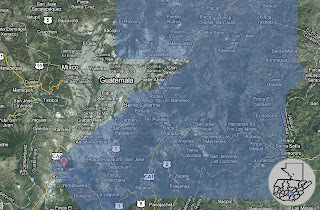 Coffee from this region is characterized for being one of the most intense from all of Guatemala. Although this region is so vast that the idea that all the coffee produced here can have a common denomination is a misconception from many points of view. The classification of this region was done so based on the geographical location and the high altitudes of the mountain range that surrounds Guatemala City from north to south-west, rather than by a specific criteria of cupping characteristics. Under the criteria of specific cupping characteristics common to each area, common altitudes, microclimate variations, and major geographical influences, the whole of the Fraijanes region should be divided into four microareas but we are only concerned here with the Fraijanes proper region. Fraijanes. The area that gives the name for the regions comes from the jurisdiction of the Fraijanes County which is a hard terrain situated on a high plateau that is affected by constant winds, heavy rains, and even frost during the cold season in Guatemala. There is regular volcanic activity here which benefits the soil. 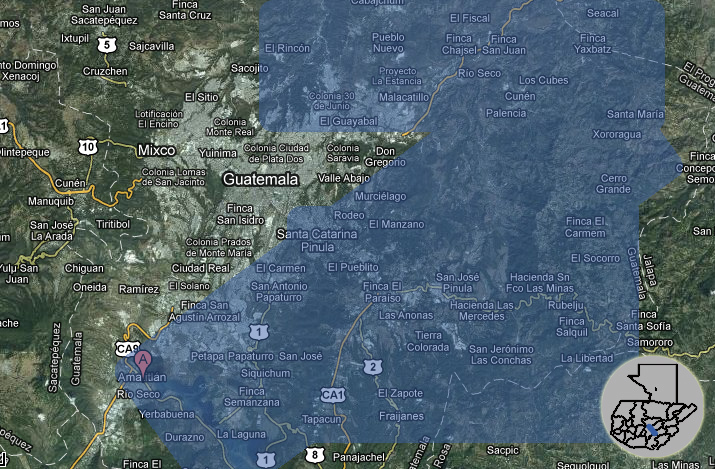 Guatemalan Coffee Regions. 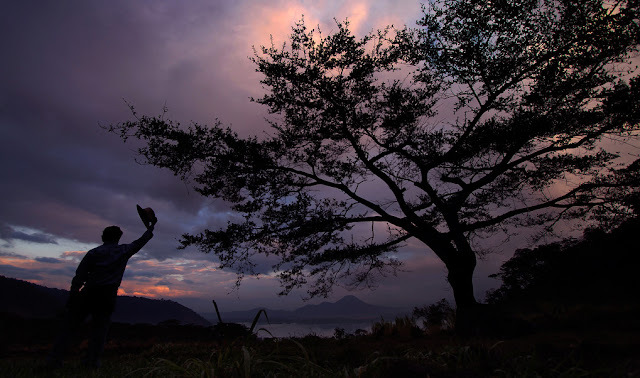 Sunrise at Finca San Gerardo in Lake Amatitlán; considered part of the Fraijanes Region. Photo by. Iván Castro. Cupping Notes*: clean, bright, and strong cup with crisp acidity that gives way to an apricot, blueberry and toffee-nut flavor. It lingers a long and tasteful aftertaste. *Tastes are subject to the taster and how the coffee was brewed.